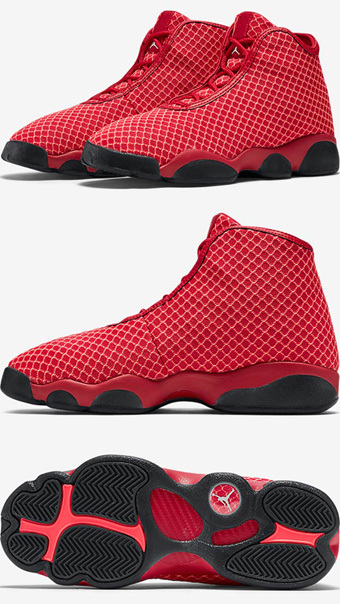 Having a similar build as the Jordan Future that used the Air Jordan 11 sole, theJordan Horizon uses the tooling from the Air Jordan 13. The first release of the silhouette was the Public School collaboration, and now we’re starting to see more colorways unveil like this “Gym Red” edition that is perfect for any Bulls fan. Check out the official images below and look for this Jordan Horizon “Gym Red” to release in kids’ sizing this January 2016 at select Jordan Brand retail stores. Stay tuned to Sneaker Bar for further release updates as they develop.